Just over three years ago, WÆRK was founded as an inclusive antidote to the single-minded tech- and data- focused approaches to business processes and innovation (and limited ideas of “progress”). The world has changed dramatically since then, and today we are even more convinced that art - the inclusion of art, in all aspects of life - is what will help humans to transform the world for the better. It’s been a while since our last post, but we hope you’ll “thumb” our archives and continue to visit. We’ll post more regularly soon. 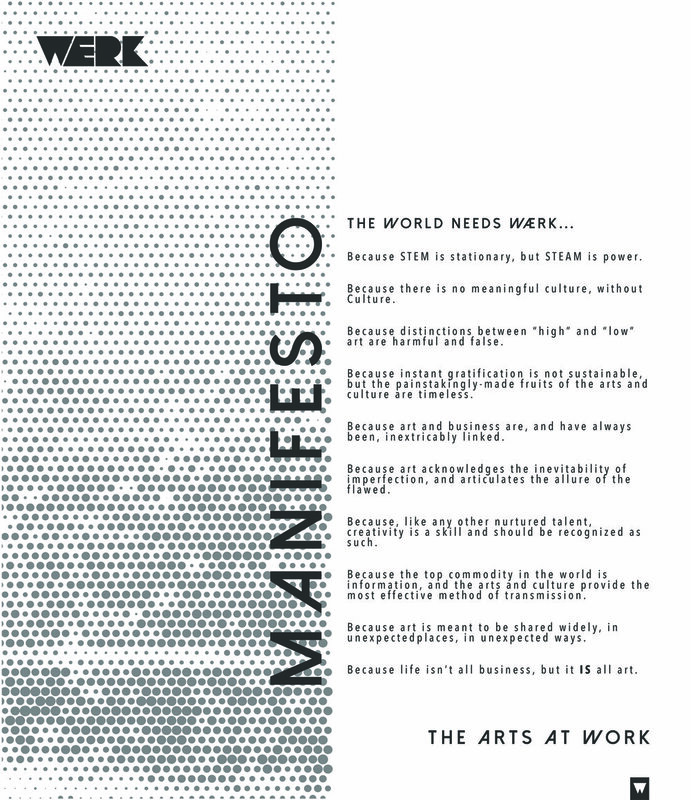 In the meantime, we’d like to share our manifesto with you again. If you’d like to continue the conversation, please drop us a line at hello@waerk.com. We look forward to hearing from you.